When does the Annual Conference start/finish? 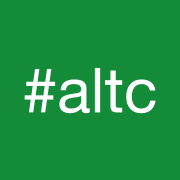 The ALT Annual Conference will run from the morning of Tuesday 8th to the afternoon of Thursday 10th September 2015. Where is the conference taking place in 2015? This year we will be hosted by the University of Manchester. Travel information can be found at the bottom of the page. How much does attendance cost? See our registration page for info. When will registration close? Registration will close at midday on Tuesday, 25th August. When will I receive joining instructions? Joining instructions will be sent to all delegates approximately two weeks before the conference. What is the booking process for sponsors and exhibitors? Information about sponsorship and exhibition can be found here. If you have any questions please contact Anna Davidge. Dietary requirements? We can usually accommodate different dietary requirements if you let us know in advance. Please let us know during the registration process. Accessibility or other requirements? If there is anything we can do to ensure you can make the most of the event, please let us know during the registration process. Cancellation policy? Yes, please refer to the registration page. How many participants will there be at the conference? We expect that there will be over 400 participants attending face to face and many more joining in online. What are the timings of the conference? The conference programme will be available here in due course. Where is the nearest train station? The University of Manchester is located close to both Piccadilly main line station (about two and a half hours from London) and Oxford Road train station, with Victoria train station a little further away. For details of timetables, tickets and other rail information, call National Rail Enquiries on +44(0)20 7278 5240 or visit the National Rail Enquiries website. Where is the nearest airport? Manchester Airport is one of the largest and busiest in the country. It is located about 10 miles (16km) south of the city centre, about 30 minutes from the university. Is there parking at the conference venue? We advise all conference participants to use public transport. I am new to the conference – what should I look out for? There is dedicated information for first time participants included in the joining instructions. We’re looking forward to welcoming you! What is the ALT helpdesk for and where can it be found? We’re here to help. You can find us in the main entrance area. Is the conference area wireless enabled? Yes it is, we will provide full instructions on how to access this facility with your joining instructions. I am presenting at the conference, can I use my own computer equipment for my presentation? Yes you can, however there are a few things to consider should you wish to use your own equipment. Further information will be published on the conference web pages in due course. Are there medical services at hand during the Annual Conference? During the conference the first point of contact for any first aid emergency is the University of Manchester staff or conference helpers (who will be identifiable by white t-shirts). They will direct you to the nearest qualified first-aider.